Luxury motor yacht based on hull from LEGO cargo ship. 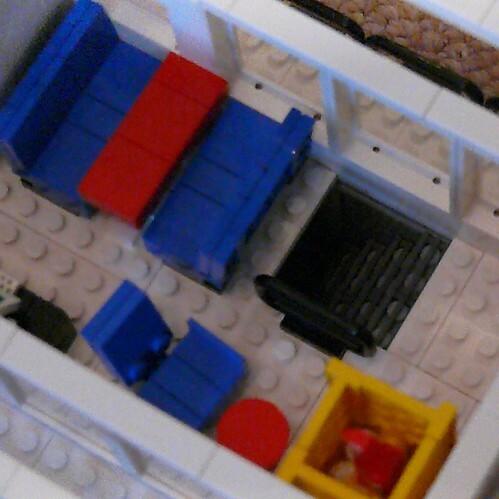 A birds-eye view of the below-decks compartments. For the full story, be sure to read LEGO Luxury Motor Yacht on Brickpile. Luxury motor yacht based on hull from LEGO cargo ship. Heading downstairs into the below-decks area is a ladder (stairway) from the main saloon. 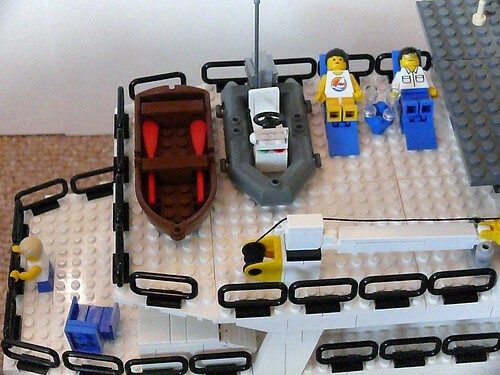 For the full story, be sure to read LEGO Luxury Motor Yacht on Brickpile.